BA (Hons) Business Management and Entrepreneurship student, Andrew Marshall received £250 to begin prototyping on his gym product. 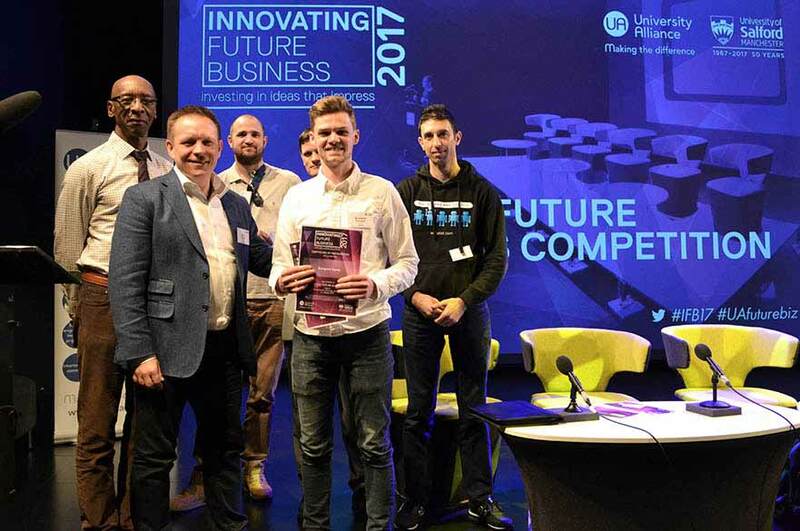 An enterprising student from Nottingham Trent University impressed a Dragons’ Den style panel to win investment for his folding gym equipment. Andrew Marshall pitched his business Compact Gyms Ltd to a panel of investor ‘Dragons’, successfully securing a £250 investment. The 24-year-old from Oakham in Rutland, started his business in response to the rising costs of gym membership paired with the limited space in his student apartment. His first product, a free-standing pull up bar, allows exercise with gym standard equipment, but with the added ease of storage to be used in the home. Andrew, who studies BA (Hons) Business Management and Entrepreneurship, has been developing his product ideas and business plan with support from staff at The Hive – the university’s centre for enterprise and entrepreneurship. It's a huge confidence boost to know that an investor believes in me and the product. He said: “It was brilliant to receive the investment, it will go towards my prototyping budget and help me get the product ready for market. It is also a huge confidence boost to know that an investor believes in me and the product. Competing against entrepreneurs at 11 other universities, the event: ‘Innovating Future Business 2017’ run by University Alliance, brought together emerging enterprises from a range of industries including adventure holidays in Uganda, medical applications and online cosmetics. The Hive welcomes anyone who has a business idea from the local community to access support alongside students and staff of the university. The Hive is Nottingham Trent University's business incubator, it helps students, alumni, staff and the local community get businesses off the ground, offering mentoring, advice and classes on enterprise.